Tālofa, Kia orana, Mālō e lelei, Fākatalofa atu, Bula, Fākaalofa atu, Mālō ni, Noa’ia! Each year, the beautiful languages of Samoa, Cook Islands, Tonga, Tuvalu, Fiji, Niue and Tokelau are celebrated around Aotearoa during Pacific Island language weeks. 2018 went one step better with the inaugural Rotuman language week back in May. 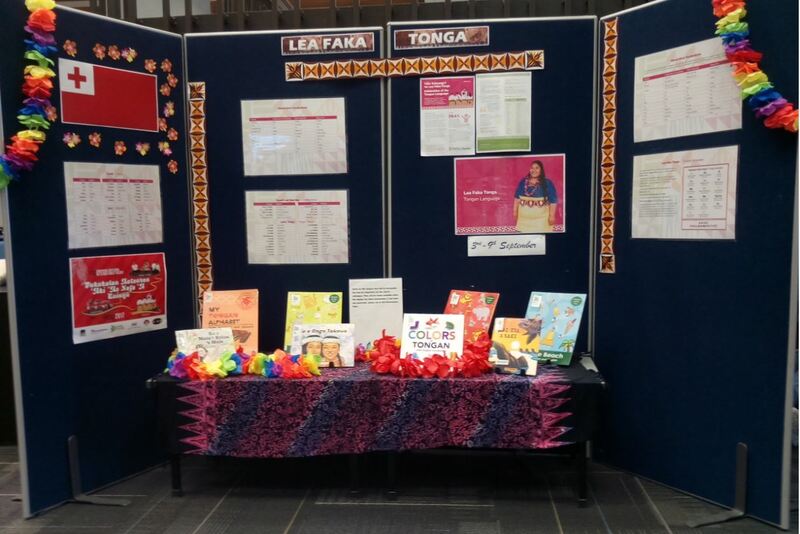 With the rise in numbers of Pacifika students at UC and the importance of ensuring these languages are preserved, the Library sees these weeks as a great chance to not only get creative and keep practising but to also raise awareness and celebrate Pacific cultures. A useful website is the Ministry of Pacific Peoples they provide helpful guides to each language, links to events and designated dates for each language. Also check out the Pacific Studies Library subject guide for help on finding other Pacific resources; from books to CDs, DVDs and current newspapers from the Pacific Islands. Keep an eye out in the Library and on social media for the various language weeks, get involved, learn some basics and let’s all help keep these languages alive!